WASHINGTON D.C.–Everyone’s favorite heterosexual Republican member of Congress and sassy white belt wearer, Illinois’ own Aaron Schock, was surprised on Tuesday to get “Muriel Donnelly” on the What Best Exotic Marigold Hotel Character Are You? quiz that he took on queerty.com. Schock reportedly loves Maggie Smith so much, he had his entire Congressional office decorated like her hit show Downton Abbey. 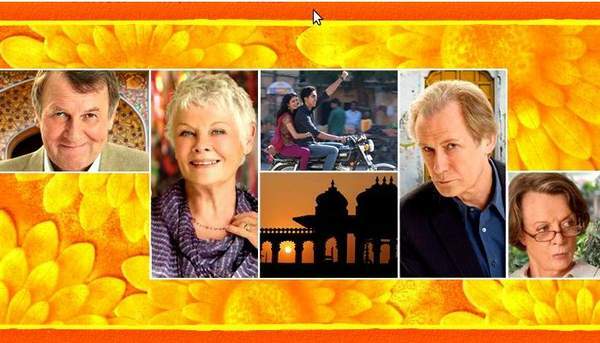 More surprise from the Best Exotic Marigold Hotel quiz came when Schock’s fully salaried personal photographer who follows him around everywhere, Jonathon Link, took the test and got “Madge Hardcastle,” the adventure-seeking divorcee played by Celia Imrie.